Tuesday, March 26, 2019 Extra, Extra! 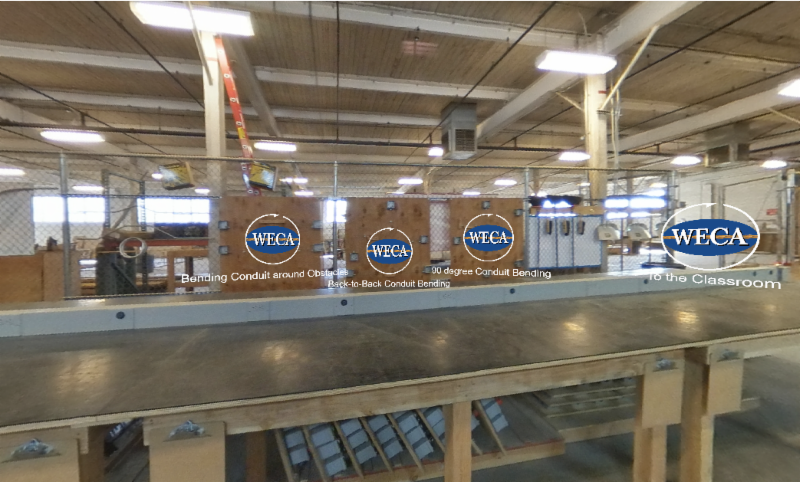 Read All About WECA HQ's Updated Low Voltage Lab! 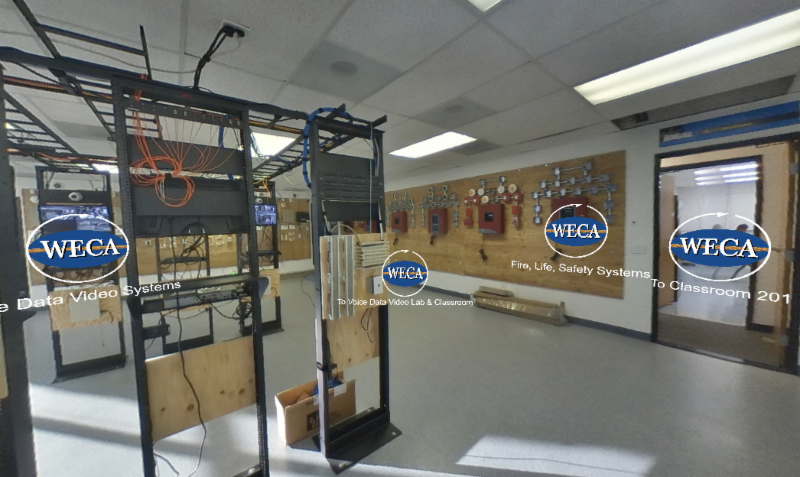 WECA is committed to staying at the forefront of training for the low voltage industry, and recent upgrades to its apprenticeship labs in Rancho Cordova reflect that. These upgraded labs are optimized to produce apprentices that are well-versed in the latest integrated systems and applications. Furthermore, apprentices trained in the new labs should possess the requisite confidence and experience contractors are looking for in today's labor pool. The updated lab space- triple the size of its previous iteration - features increased square footage and more student lab positions. 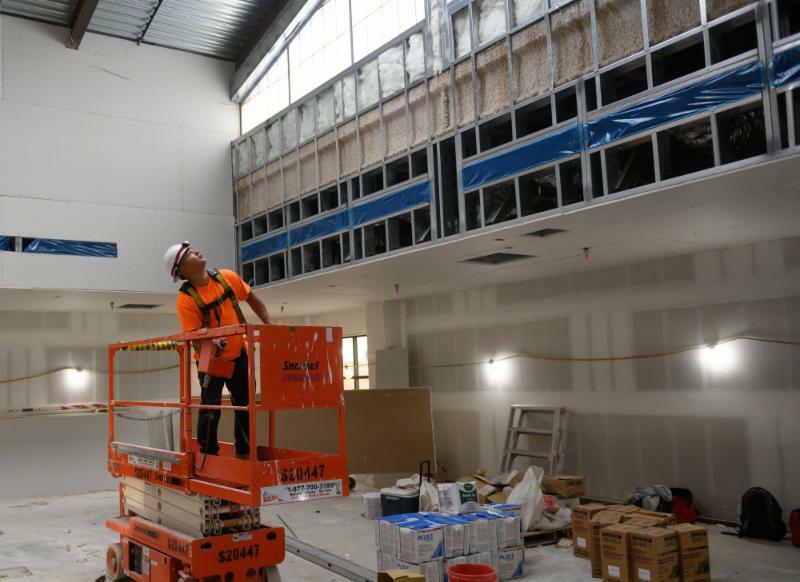 What's more, the new layout will allow students to get more hands-on experience with established technologies such as fire alarms systems, security systems, and nurse call systems, as well as emerging technologies such as voice evacuation systems, very early smoke detection apparatuses, and open-area smoke imaging detection systems. These systems require an understanding of how relays work to lock or unlock doors based on the credentials presented. This reinforces the concepts of electronic switches (relays). WECA may install one pan-tilt-zoom (PTZ) camera at each WECA location at a later date. Each camera would possess the ability to route the power and signal to each apprentice position. WECA plans to install four sets of eight cameras on equipment racks at a later date. Longer wire runs will utilize permanent wiring that the apprentices can extend to each CCTV position. Shorter wire runs will be installed by apprentices. Apprentices will be introduced to the unique terminology of video systems. While they will rarely be required to select specific camera formats and/or lenses, instructors will have the opportunity to describe how and why certain cameras and formats are selected for specific tasks. These systems are becoming common in computer rooms and "clean" rooms, thus we would like to purchase and install one or two of these systems to familiarize fire alarm technicians with them. This is a fairly recent development in smoke detection technology. These are predominantly replacing projected beam detectors. These systems are also typically used in large, open areas, such as theaters, gymnasiums, and warehouses. "There's really no comparison [to the old lab]", said WECA low volt instructor Steve Kappes. "[The old lab] comprised approximately 570 square feet, about the size of a one-car garage. The walls were lined with 16 fire alarm panels, with only half being used at any given time, and the ceiling was a maze of conduit and junction boxes connecting the panels to one another." The redesign will also allow students to work simultaneously, utilize workbenches for tabletop applications, and store tools, parts and equipment in a locked storage area. Kappes said that such a redesign was essential to students' continued success both in the classroom and on the job site. "Most of our low voltage contractors deal primarily with either data systems (computer and telecommunications cabling and equipment) or fire alarms and other systems that would fall into the 'life safety' category", said Kappes. "As a consequence of that focus, our labs have been arranged and equipped to introduce our low voltage apprentices to these two primary areas of interest." Thanks to Kappes' efforts, low volt apprentices will benefit from intensive - but supportive - learning in a lab with a variety of complex yet interoperable systems like the ones encountered in the field. "The more exposure we give to our students in the relative safety of the classroom and lab, the more comfortable they will be out in the field approaching a new installation," said Kappes. "Most of our systems are very basic, simple systems. This way we can teach the fundamentals of systems before the students are out in the field confronting a complex piece of equipment they've never seen before." But confidence isn't the only thing apprentices will gain, according to Kappes. "The more diverse the equipment and installation techniques an apprentice is exposed to in the classroom, the more confident they are in their abilities to install a system they may be unfamiliar with. And the more confident they are, the more valuable they will be to a current or prospective employer," said Kappes. Moving forward, Kappes hopes students will build upon the experience they've gained in the classroom and successfully apply it in the field. "One of the keys to being successful is the ability, and willingness, to follow detailed instructions," said Kappes. "Most of the systems we deal with in the low voltage field employ some level of computer processing. The ability to work through a situation in a step-by-step, detailed manner is a huge advantage to a low voltage technician." Kappes also reaffirmed WECA's commitment to staying one step ahead of the game by disclosing future expansion plans. "We've created a world-class fire and life safety lab, and we'd now like to turn our attention to upgrading the existing voice-data-video (VDV) lab," said Kappes. The expansion is necessary to accommodate anticipated larger class sizes, according to Kappes. Such an expansion would entail reconfiguring the lab from four positions to twelve, removing most of the rack and tool storage, and utilizing all four walls for increased lab positions. The expansion would also allow instructors to serve more students in smaller groups so that they receive the necessary hands-on practice most students need. 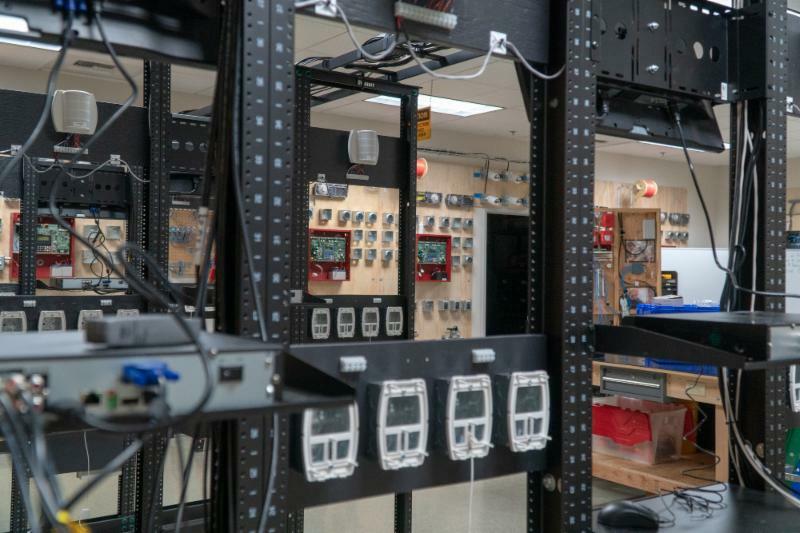 "[We also hope] to create a 'mock' server room or computer room, possibly incorporating a raised floor and multiple rows of equipment racks to familiarize students with the types of cable pulls they may encounter in the field," said Kappes. To that end, Kappes stated that he and fellow instructor John Arias will contact WECA member contractors specializing in low voltage and data to gather input and ideas regarding how to best prepare apprentices for maximum productivity once they reach the field. In the meantime, though, Kappes mused that "our industry continues to adopt technology as it becomes available and reliable. Our goal is to continually upgrade the labs - and the program in general - to stay relevant in the industry and [be] beneficial to our member contractors." Don Black is a blue-collar guy at heart. Black, WECA's new apprentice training director, is a self-professed outdoorsman, handyman, and lover of all things career education. "I love the trades, and I love anything that requires your brain and hands to get in sync," said Black. Black - a native of tiny Jasper, Oregon - majored in sociology at Humboldt State and earned a master's degree in business from Regis University. With these degrees under his toolbelt, Black forged a successful career in the financial aid sector and the operations sector, respectively, at institutions such as Humboldt State, George Fox University, and the Universal Technical Institute. 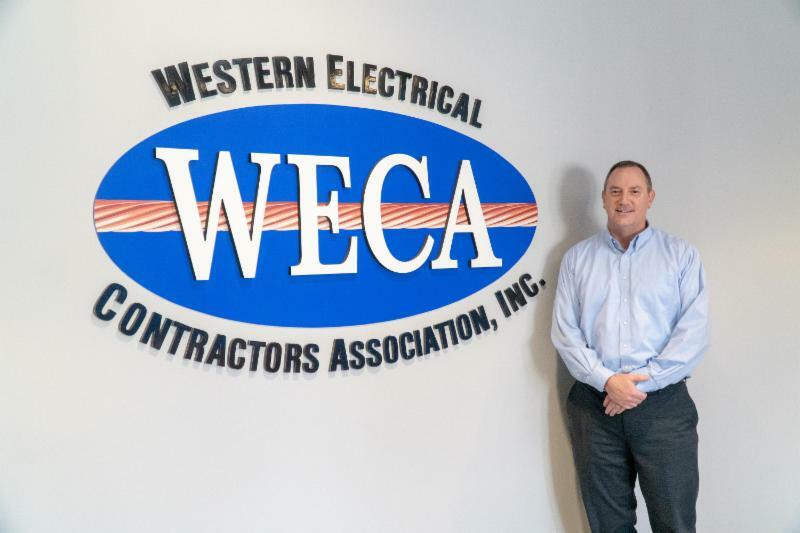 "I have loved being a part of helping others achieve their career goals, am passionate about education that is directly connected to a career and love that WECA connects its apprentices and trainees directly with a career," said Black. For Black, his new job isn't just a job. It's a deeply held conviction and passion, one that extends all the way back to his pre-college days when he set his sights on becoming a carpenter. "I believe I am on this earth to help others achieve things they may not have thought possible, and [to help them] be the best version of themselves," said Black. "I am a coach and a mentor - my job is to help the instructors be the best they can be in connecting content to students to ensure understanding of the training, and to connect the content to the learner so that the learner can engage with and absorb the material." And it seems that Black's contemporaries - such as WECA executive director and CEO Terry Seabury - agree with his sentiments. "Don has contributed to the association from day one," said Seabury. "He recently held a comprehensive and much-needed three-day apprenticeship instructor meeting and led his team in many collaborative discussions on issues and opportunities for improvement. The future progress and continuous improvement Don and his team are already planning are sure to impress us all." According to Black, his approach ensures "an environment that allows for students' differences" and states that "students will learn all that they need, and our members will have great apprentices and employees". Black's approach to success, however, doesn't stop with WECA. He also considers the long game - life after WECA. "Take your training seriously, and don't dismiss the soft skills," said Black. "90 percent of success is showing up on time, being able to learn, working as part of a team, and problem solving. These are critical skills that will grow your career and your paycheck." 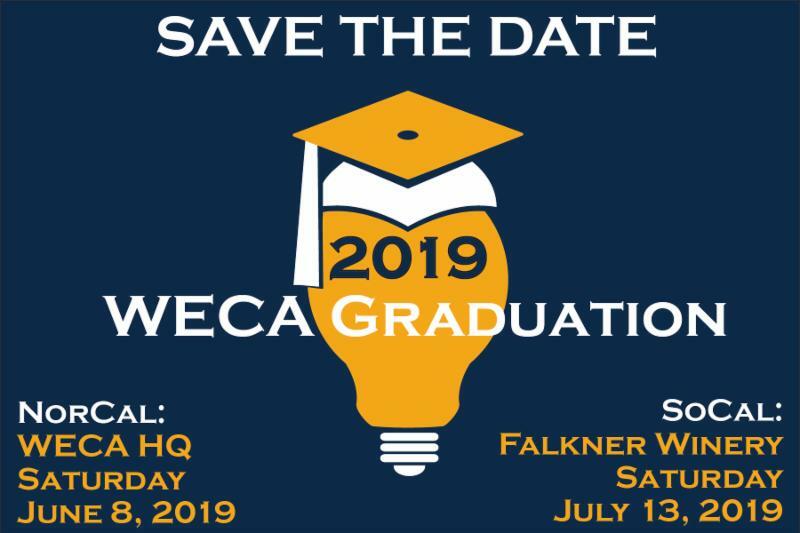 Tuesday, March 26, 2019 Save the Dates for WECA's Graduations! Graduation is just around the corner, so don't forget to save the date for your graduation - and spread the word to your guests, too! Tuesday, March 26, 2019 Learn More About Our Upcoming Outreach Events! Watch for WECA's outreach team at the following events, and stop by to say hi! Please note: all events listed are located in Northern California, unless otherwise noted. Tuesday, March 26, 2019 Journeymen and Electrician Trainees: Are You Out of Work? View Jobs, Post Your Resume, and Try SRS! Are you currently out of work and seeking employment? 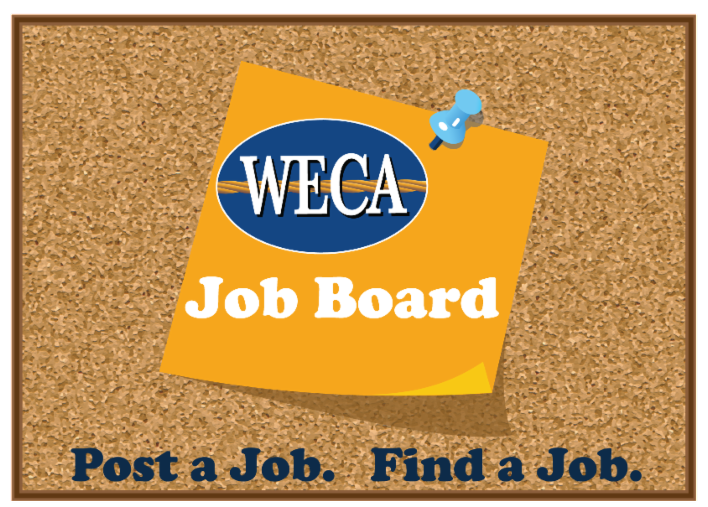 Post your resume to the WECA Job Board or view open positions posted by our members. If you are a current WECA student or a WECA grad, go a step further and contact us about our Student Referral Service! This service provides additional customer service by having WECA staff provide hands-on referrals and taking some of that work off your plate. WECA's Electrical and Low Voltage Industry Job Board is designed to help connect individuals seeking employment in the electrical and low voltage industries with the contractors who want to hire them. and the Member Contractors who want to hire them. This is a free, no-obligation service open to all workers seeking employment in the electrical and low voltage industry. WECA's purpose in providing this service is to help our Member Contractors find the qualified workers they need. If you are a current WECA student or a WECA grad, consider trying our Student Referral Service! This service provides additional customer service by having WECA staff provide hands-on referrals and taking some of that work off your plate. Learn more and sign up here. 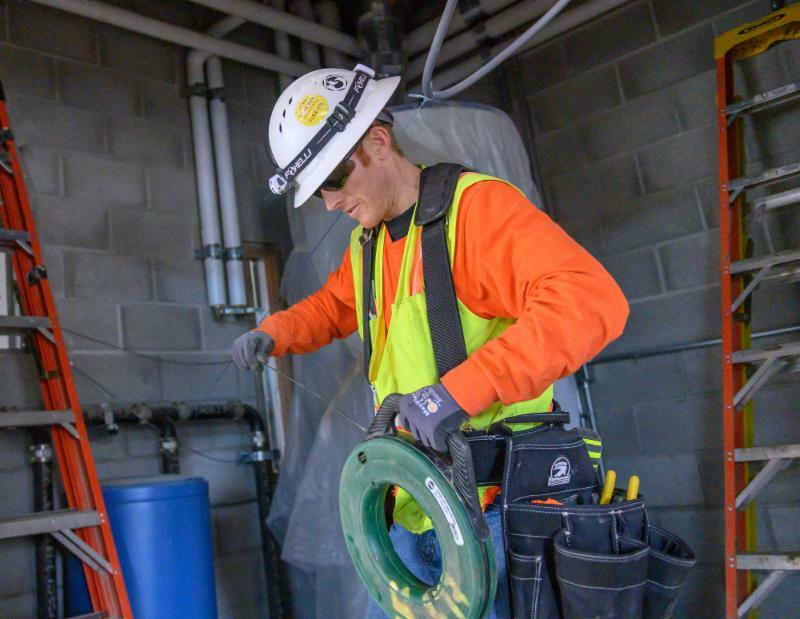 Our Commercial and Residential Electrical apprenticeship programs have received college credit recommendations from NCCRS (the National College Credit Recommendation Service). If you're an apprenticeship graduate looking to further your education with traditional college in a related field--or a current apprentice planning ahead for that--read on to learn more about this benefit and to determine if you are eligible for it. 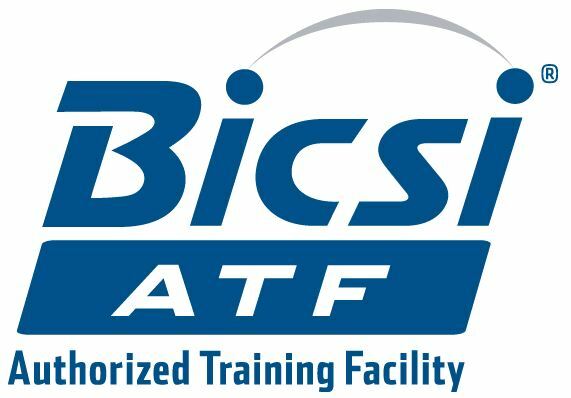 Tuesday, March 26, 2019 BICSI Classes at WECA HQ Starting This Month! WECA is pleased to announce that BICSI will be holding the following classes at our Rancho Cordova headquarters for the first time in Spring 2019. Seats filling fast, register now! These classes are open to the public and we encourage interested WECA members to enroll early in order to secure seats. These classes are rarely offered in Northern California, and we encourage our members to take advantage of this convenient opportunity. Registrations must be processed directly with BICSI. 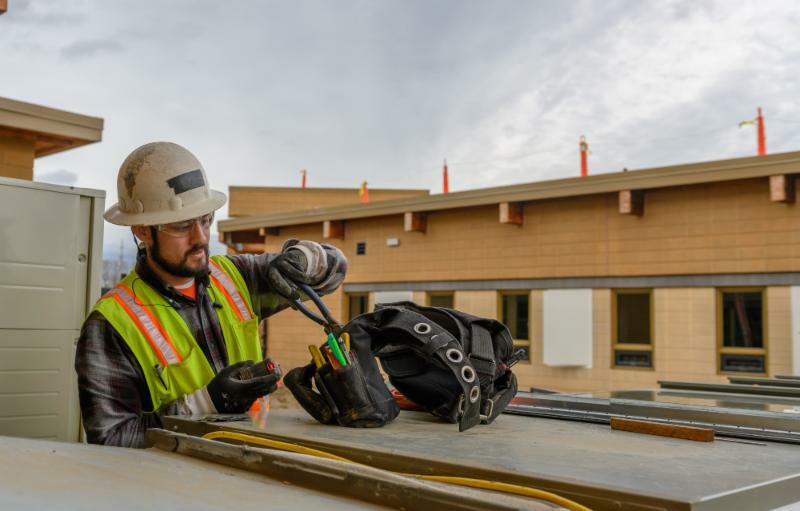 To learn more about these courses and to enroll yourself or an employee, click on the individual course links above, or visit www.bicsi.org and search courses by location for "Rancho Cordova." Tuesday, March 26, 2019 Explore "Service Technician - General Residential"
This 16-hour course is geared toward residential electricians, or those training to become one, looking to become better service technicians by gaining the skillset required for diagnosing and troubleshooting common residential electrical issues as well as working with customers. This class includes the use of scenarios that simulate residential service calls to help train electricians in working with customers. Scenarios also cover best practices in utilizing the information provided by customers to help systematically diagnose problems, conduct tests, access a well-stocked service vehicle, replace defective equipment, and submit invoices to customers. WECA's Senior Education Advisor and Curriculum Development Lead, Rick Labon, has designed the course to effectively teach students the proper methods and practices to succeed as service technicians. Labon explains, "There have been very few training resources out there for someone seeking the skills a residential electrician needs to become a successful service technician. That means, historically, residential electricians have had to rely upon trial-and-error learning, which is neither a safe nor economical way of acquiring the necessary skills. 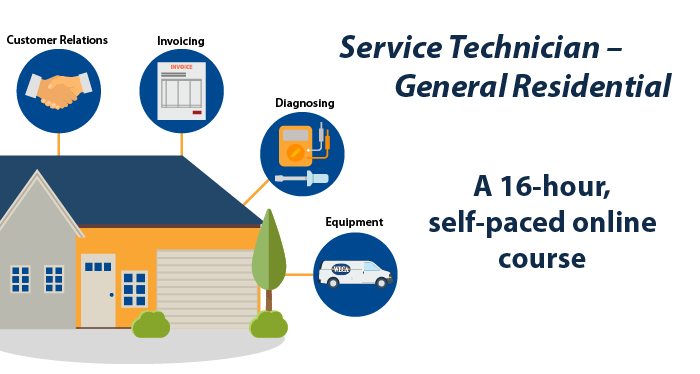 This "Service Technician - General Residential" course has been designed by WECA's subject matter experts and I to take the guess work out of what a residential electrician needs to know. We've replaced that guess work with knowledge gained from years of service expertise. 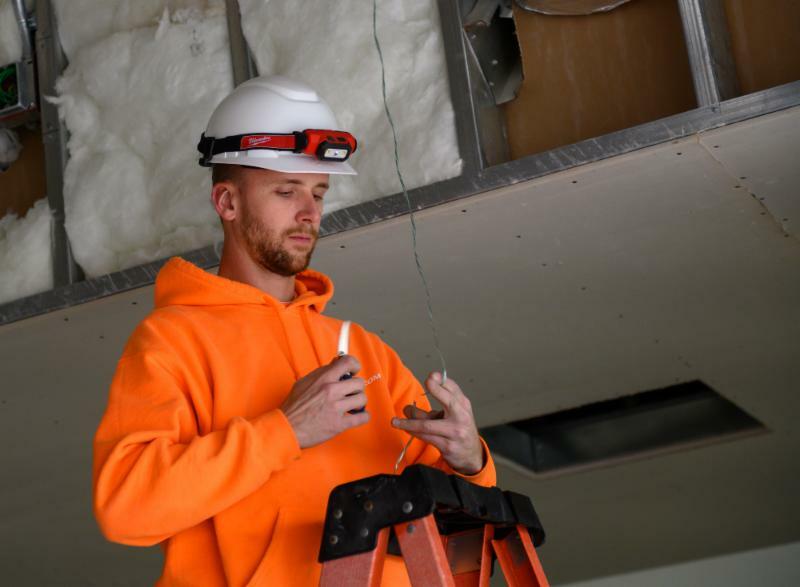 All of the modules are based on tried-and-true methods which we teach through practice activities using real-world scenarios that residential electricians will actually find in the field." Find more information, or sign up for this online, self-paced course here. 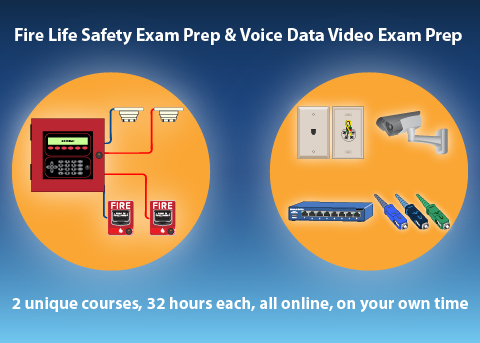 Check out WECA's self-paced, 32-hour online exam preparation courses for the California voice-data-video and fire/life safety tech certification exams! Learn methods for effectively finding the answers to the exam questions in your Code books, and gain deeper understanding of VDV and FLS concepts. Learn more and enroll in either of these online courses here. 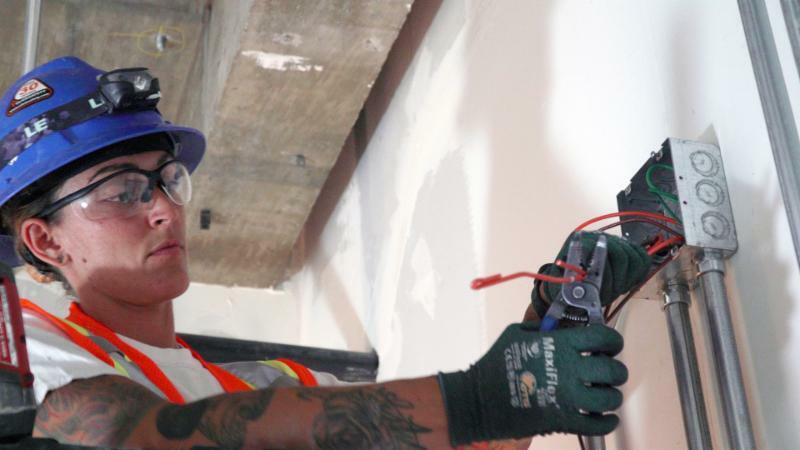 The birth of her daughter sparked Demi Zayas' desire to become an electrician. Though mechanically inclined from a young age thanks to her father's background in carpentry, her daughter's birth made her realize that "the next best step to giving her a good future was to join the trades." And she did just that, joining a small yet growing club of females increasingly drawn to traditionally male-dominated industries. "Being a female is pretty interesting in a male field," said Zayas. "I'm generally ignored for the first 3 weeks and then once people kind of see who I am, how I am and that I do work hard and carry my own weight, everything opens up and nobody has an issue with me being a female." According to Data USA and the United States Census Bureau, there are only 15,864 female electricians in the United States - shockingly low when compared to the 732,242 males working in the industry. These figures illustrate the urgent need for role models - such as Zayas - to serve as beacons of light for women aspiring to careers in the trades. "More females should join the trades because it's an amazing experience, the satisfaction of seeing something after it's built," said Zayas. "It's so gratifying and it gives you such a sense of accomplishment to be able to see something after the fact." However, regardless of gender, Zayas recommends WECA as a place where aspiring electricians can go to learn the tools of the trade in a fun and supportive environment. "WECA was the gateway to the life I have today. It taught me everything in this open, accepting and wonderfully explanatory place. [You can] just really broaden your knowledge in this field, and really get to understand the nuts and bolts of how electricity works and how these buildings get powered and put together," said Zayas. 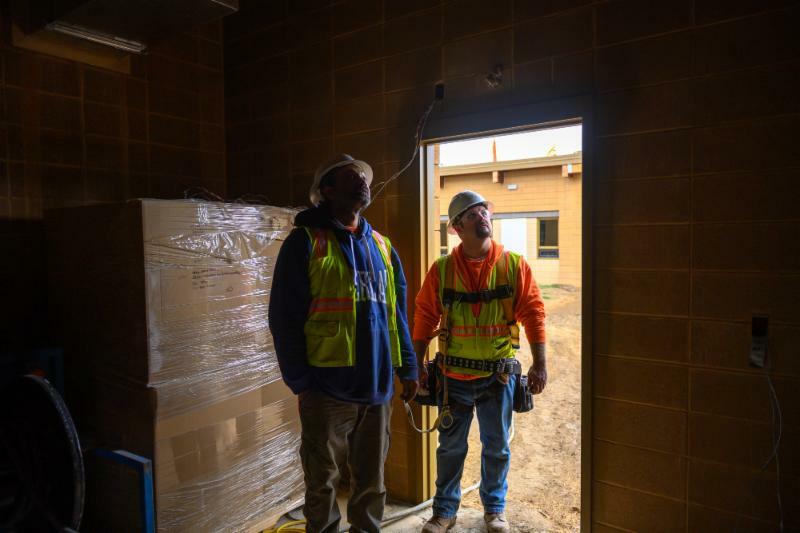 And the future is bright for the electrical trades, according to Zayas. "Electricity is not going anywhere - the necessity is not going to go away," said Zayas. "If anything, it's just going to become more innovative, and be used differently and more efficiently." Zayas elaborates, stating that she had "a 35-year superintendent tell me that he still doesn't know everything, but every day he comes to work and almost every day he learns something new. I think that's really engaging and really exciting because you never know what you might learn tomorrow." 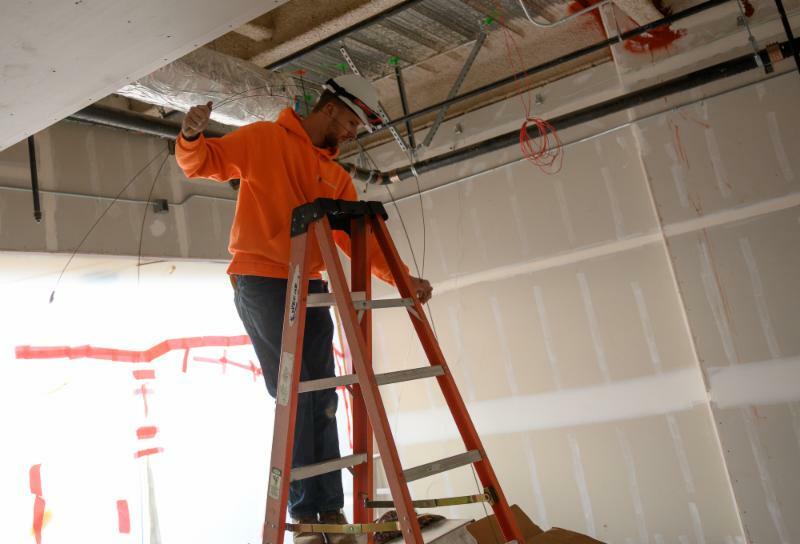 But most of all, Zayas emphasizes that aspiring electricians "will never know everything, [but] just keep that mentality and always be willing to learn, and you can take this job anywhere you want it to go." Tuesday, February 26, 2019 Western Electrical Contractors Education Foundation (WECEF) Scholarship Winners! Western Electrical Contractors Education Foundation (WECEF) Scholarship Winners! Earlier this year, we offered the opportunity for students enrolled in a WECA Apprenticeship program, Electrician Trainee program, or Journeyman-level continuing education classes to apply for the Western Electrical Contractors Education Foundation (WECEF) Scholarship. We were gratified by the number of applications we received this year, which resulted in the award of 38 scholarships. Congratulations to our 2019 WECEF Scholarship Recipients! Tuesday, February 26, 2019 Tour our 3 Training Facilities in Virtual Reality! 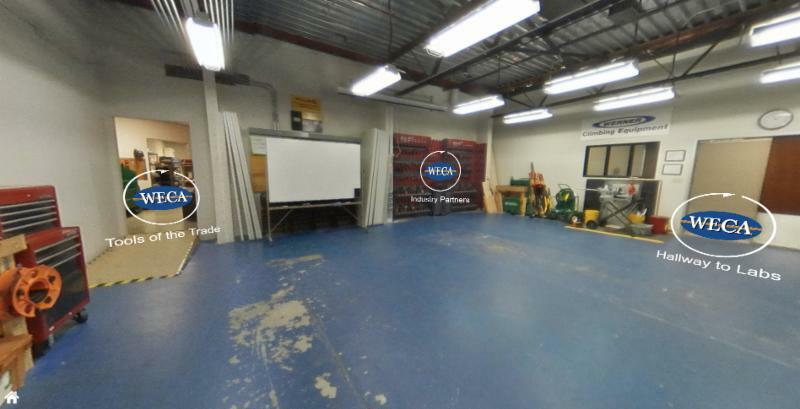 Tour our 3 Training Facilities in Virtual Reality! Interested in touring our three training facilities but can't make it to them in person? Virtual tours are now available! 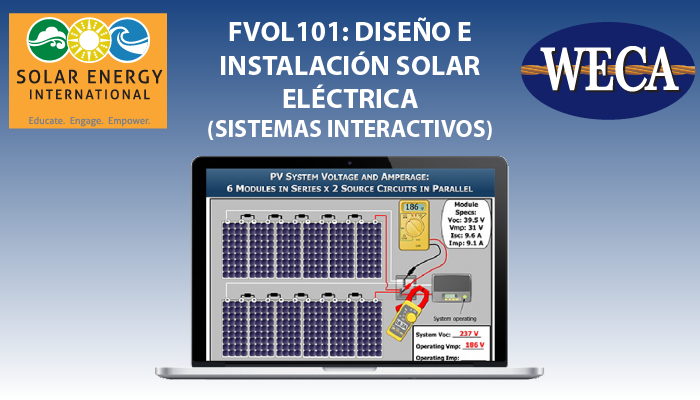 Tuesday, February 26, 2019 Solar Courses, in partnership with Solar Education International (SEI), now available in Spanish! Solar Courses, in partnership with Solar Education International (SEI), now available in Spanish! 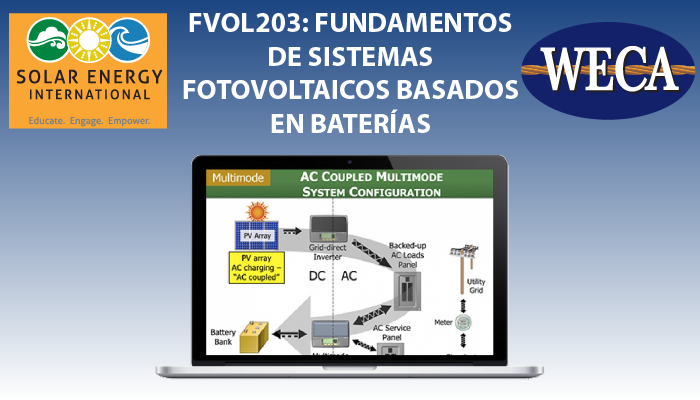 Este es un curso fundamental para cualquier persona que quiera iniciar una carrera en energía fotovoltaica (FV) y/o comprender los pormenores de la generación de electricidad con base en el efecto fotoeléctrico. La plataforma del curso FV101 le permitirá continuar desarrollándose en áreas como: diseño, inspección, instalación, mantenimiento, ventas técnicas y soporte técnico; todo basado en los más rigurosos códigos eléctricos y en prácticas recomendadas por profesionales con décadas de trayectoria en la industria. Este curso es el primero de un programa completo dedicado a crear expertos en la materia; por sí solo es un excelente punto de partida para cualquier rama en la industria. 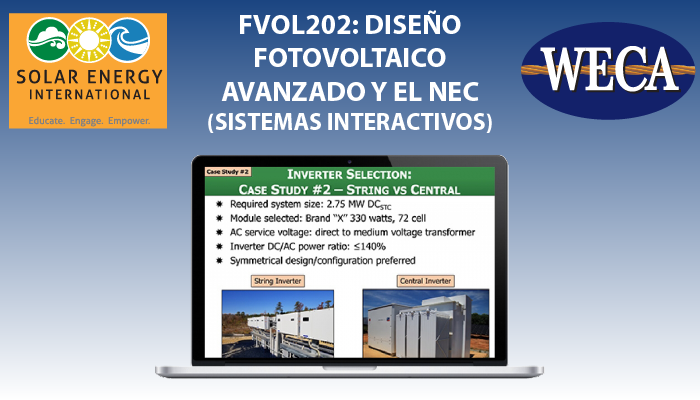 Sumérjase en los detalles avanzados de diseño y buenas prácticas relacionadas con sistemas fotovoltaicos (FV). Con un enfoque altamente técnico, este curso se diseñó para apoyar a diseñadores, instaladores, inspectores e ingenieros que quieren entender los detalles intrínsecos del diseño de sistemas FV, y los requerimientos para instalarlos correctamente. El curso ofrece una mirada profunda a los estándares del Código Eléctrico Nacional (NEC® 2014), última versión traducida al español, así como a prácticas recomendadas de la industria de sistemas FV interactivos con la red. Los requisitos del NEC, los parámetros de diseño y las prácticas recomendadas son aplicables a todo tamaño de instalaciones FV. Las lecciones desarrollan temas como: requerimientos generales para toda instalación FV, requerimientos para medios de desconexión, protección contra sobrecorriente, y dimensionado de conductores; configuración del punto de interconexión y dimensionamiento de sistemas FV con base en limitaciones de tableros eléctricos; requerimientos del NEC para puesta a tierra de equipos y del sistema; selección de inversores y configuración eléctrica; detalles avanzados de montaje sobre suelo y sobre techo; puesta en marcha y procedimientos de análisis de rendimiento; ejemplos de dimensionamiento y especificación de sistemas FV. Este curso le proporcionará al estudiante una comprensión de los conceptos fundamentales necesarios para trabajar de forma segura en sistemas FV basados en baterías; estos incluyen los sistemas FV aislados (o autónomos) y los sistemas FV conectados a la red con respaldo de baterías. Se estudia el propósito, las aplicaciones y los criterios de diseño requeridos para los diferentes componentes que se deben seleccionar e integrar como: controladores de carga, baterías, arreglo FV e inversores basados en baterías (sumamente distintos a los inversores conectados a la red). La información en este curso le proveerá una comprensión teórica de los sistemas FV basados en baterías que podrá aplicar en instalaciones reales y aplicaciones prácticas. WECA's marketing team recently visited two job sites staffed by our member contractors. Apprentices were hard at work learning the tricks-of-the-trade from their mentors. Check out the pictures below! 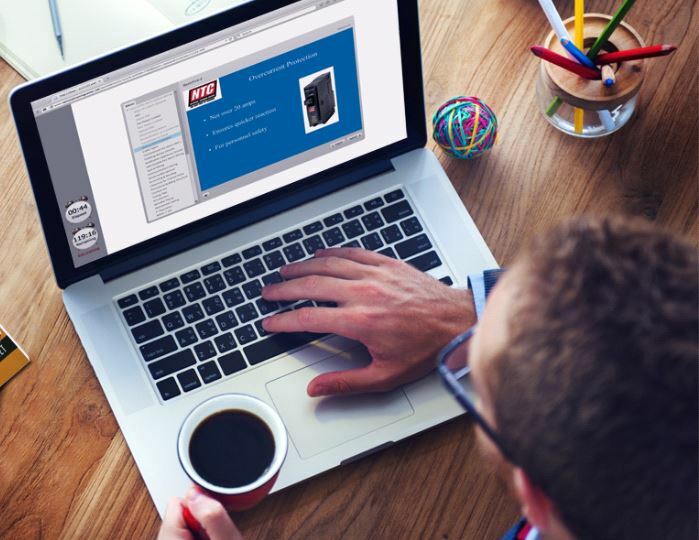 Tuesday, February 26, 2019 32-hour Fire Alarm Systems self-paced online class from WECA Partner NTC is newly updated. Where's the Fire? 32-hour Fire Alarm Systems self-paced online class from WECA Partner NTC is newly updated. This course is recommended for Certified Technicians and Journeymen. It is also appropriate for Trainees who have taken GET WIRED! 101 or an equivalent introductory electrical or low voltage course, or who have field experience. Tuesday, February 26, 2019 Check Out WECA's 2019 Six Flags Discounts! 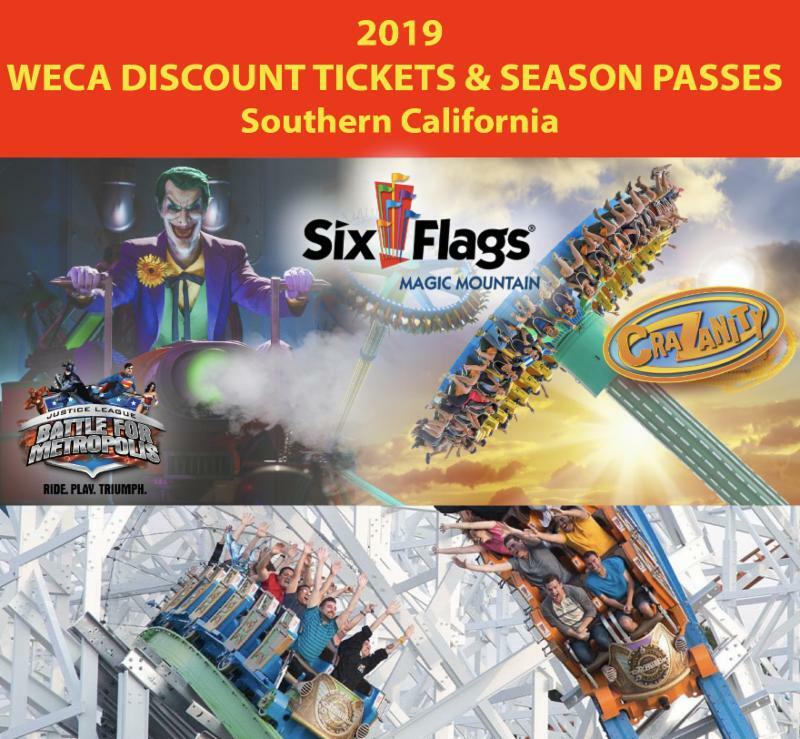 Check Out WECA's 2019 Six Flags Discounts! 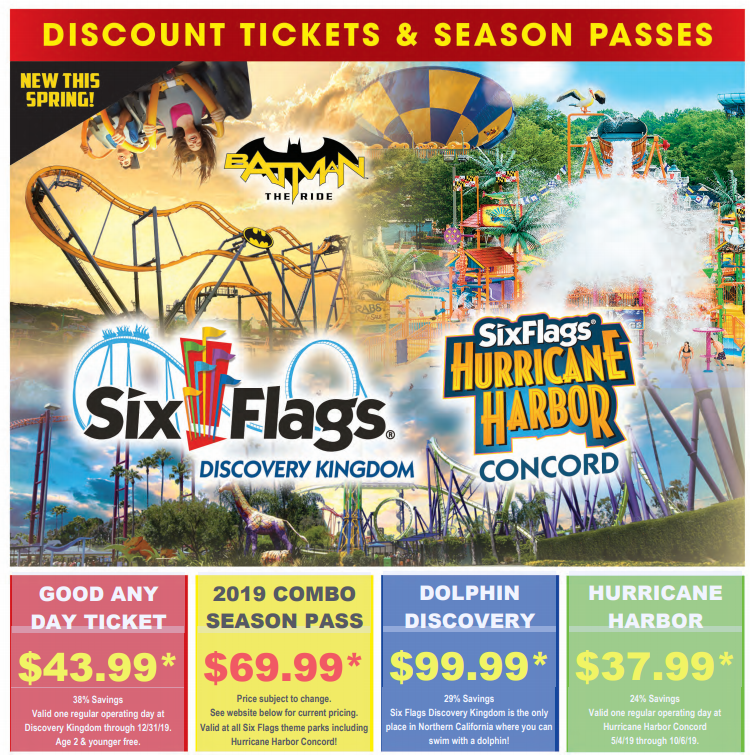 Attention member contractors: WECA has partnered with Six Flags Discovery Kingdom and Six Flags Hurricane Harbor in Concord, which means that you can purchase day and season passes at a discounted rate! You'll also be able to sign up for meal vouchers, and a "dolphin in water" interaction at a reduced price. Log in to our website and access your personal dashboard to download a flyer with discount codes and purchase instructions.